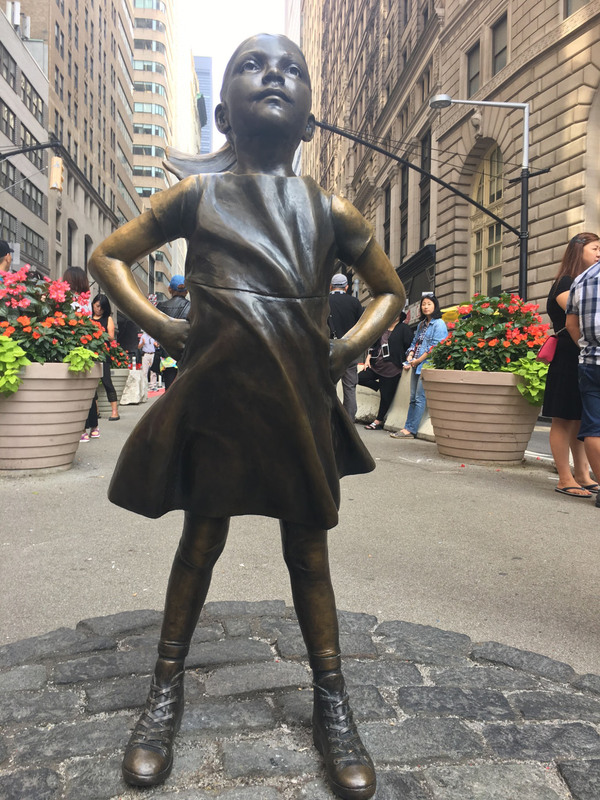 A company curried favor with advanced thinkers by commissioning for Manhattan’s financial district the “Fearless Girl” bronze statue, which exalts female intrepidity in the face of a rampant bull (representing (1) a surging stock market or (2) toxic masculinity). 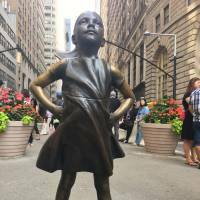 Then the company paid a $5 million settlement, mostly for paying 305 female executives less than men in comparable positions. Even Sen. Bernie Sanders went to Mississippi, to the Nissan plant in Canton, to help the United Automobile Workers with yet another attempt to convince Southern workers of the delights of unionization. The workers, 80 percent of whom are black, voted 2-to-1 against the UAW. A New York Times tweet about the South reported a shooting at a nightclub “in downtown Arkansas.” Louisiana’s Democratic Party joined the virtue-signaling by changing the name of its Jefferson-Jackson Day dinner. In tony and oh-so-progressive Malibu, California, the city council voted to become a sanctuary city. The councilwoman who made the motion for protecting illegal immigrants said: “Our city depends on a Hispanic population to support our comfortable lifestyle.” In more-progressive-than-thou Oregon, where you can get state-subsidized gender reassignment surgery at age 15 without parental permission, the legislature made 21 the age at which adults can buy cigarettes. UCLA researchers warned that because Americans’ pets eat meat, they endanger the planet by generating 64 million tons of carbon dioxide. Forty-two years after the government began (with fuel economy standards) trying to push Americans into gas-sipping cars, the three best-selling vehicles were the Ford, Chevrolet and Ram pickup trucks. A year after a NASA climatologist (from the “settled” science of climate) said California was “in a drought forever,” torrential rains threatened to break dams. Pierce College in Los Angeles was sued after it prevented a student from giving away Spanish-language copies of the U.S. Constitution because he was outside the .003 percent of the campus designated a “free speech zone.” Two years after social justice warriors convulsed the University of Missouri in Columbia, freshman enrollment was down 35 percent. An Arizona State University professor allowed some students in her human rights class to stage anti-Donald Trump protests in lieu of final exams. The University of Arizona guide instructed instructors to encourage students to say “ouch” when something said in class hurts their feelings. Clemson University’s diversity training washed brains with this idea: Expecting punctuality might be insensitive because in some cultures time is considered “fluid.” The Chronicle of Higher Education reported that student snowflakes are not the only victims of academic suffering. It seems that after the nine-month school year, professors endure isolation, solitude and depression during their three-month vacations. Massachusetts continues to be surprised that the smuggling of cigarettes into the state increased when state cigarette taxes increased. Although San Francisco’s hourly minimum wage has not yet reached its destination of $15, the city is surprised that so many small businesses have closed. McDonald’s probably was not surprised when its shares surged after it announced plans to replace cashiers with digital ordering kiosks in 2,500 restaurants. Finally, Domino’s Pizza is going to need bigger menus. Government labeling regulations require calorie counts for every variation of items sold, which Domino’s says (counting different topping and crusts) includes about 34 million possible combinations. None, however, have excessive tryptophan.